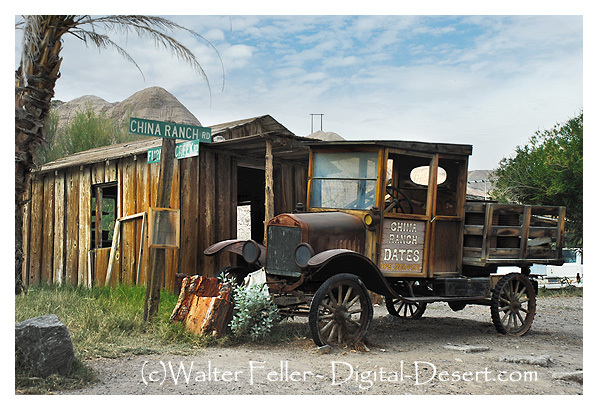 In the late 1890's, a Chinese man who had worked in the borax fields in Death Valley came to this canyon. He began a modest farm and ranch, raising fresh produce and meat for the local mines and their workers. It became known as the Chinaman's Ranch and became a desirable place for obvious reasons when compared to the surrounding terrain. In 1900 the Chinese man suddenly and somewhat mysteriously disappeared, a Dave Morrison filed a deed on the property, proclaiming that it was now Morrison's ranch. 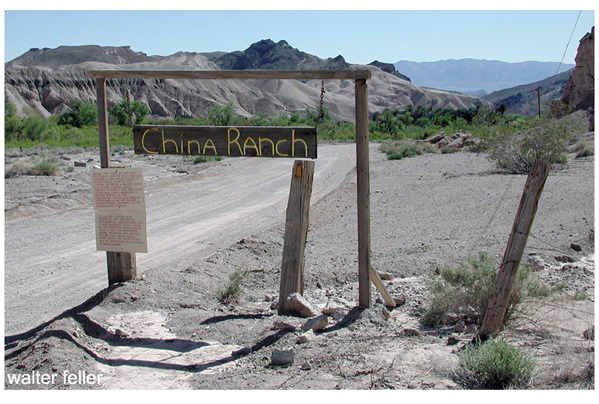 Although the chinese fellow was never heard from again the name stuck and continues to be known as the China Ranch.